Looking for a fun getaway during the Christmas season? 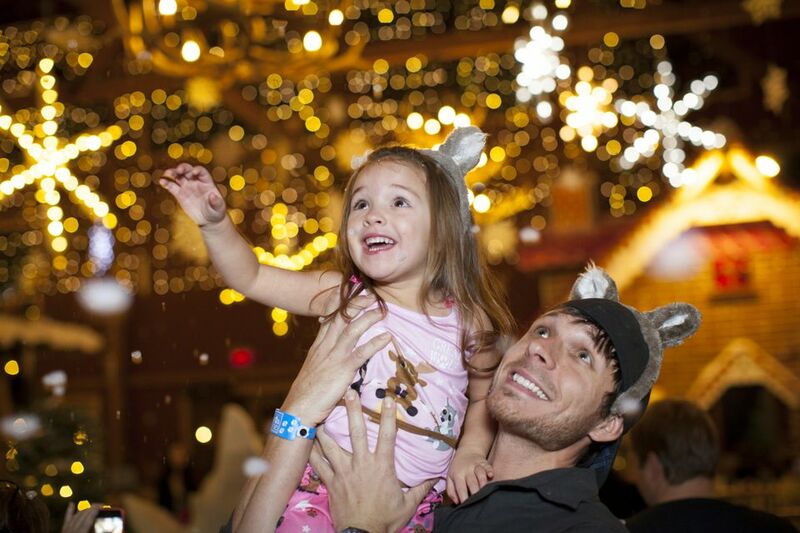 Great Wolf Lodge, North America’s largest family of indoor water parks, celebrates the holidays with its annual Snowland event filled with holiday magic. How much: Rates start around $180 a night, including accommodations, passes to an indoor waterpark, and many special seasonal activities. Prices rise significantly on weekends and holidays and vary for each location. When booking, use the promo code SNOWLAND. During Snowland, families can revel in the season with holiday caroling, holiday-themed Cub Club activities all while enjoying the 84-degree indoor atmosphere of the pool and slide area. Feel like treating yourself to an upgrade? Great Wolf Lodge offers festive guestrooms called Snowland Suites that come complete with a decorated tree, twinkling garland, oversized snowflakes, and an assortment of take-home goodies. To up the holiday ante, Great Wolf characters Wiley and Violet the Wolf will be hand delivering cookies and milk to each suite booked. And, as a bonus in this giving season, fees for dining in the gingerbread houses benefits the Ronald McDonald House Charities. Great Wolf Resorts is the largest chain of indoor water parks in the world. The chain offers a rustic, Northwest woodland lodge theme, complete with rugged timber beams and a dramatic stone fireplace in the lobby of each resort. The first Great Wolf Lodge opened in Wisconsin Dells, Wisconsin, in 1997, and expanded to Sandusky, Ohio, in 2001. Today, there are 17 Great Wolf Lodge locations in the United States and Canada with an additional location opening in Scottsdale, Arizona, in 2019. In addition to accommodations in wilderness lodge-style rooms and suites, Great Wolf Lodge guests receive complimentary, unlimited access to a large indoor water park with numerous water slides, a wave pool, lazy river, and more. Some locations also have an outdoor water park. Also on-site at each location are restaurants, an arcade, spa, fitness room, and children’s activity areas that may include mini golf, bowling, a 4-D motion thrill ride, a high-ropes course and the MagiQuest high-tech scavenger hunt game. In addition, kids can meet the Great Wolf Lodge woodland characters: Wiley, Sammy, Rachel, Brinley, Viol, and Oliver.